In 1995 the Herman Musaph Foundation for Psychodermatology was established in Amsterdam, the Netherlands. The Foundation commemorates Herman Musaph, psychiatrist and one of the founding fathers of psychodermatology. The primary aim of the Foundation is to promote psychodermatological research. Biennally, the Foundation presents the Herman Musaph Award to a scientist who has made an outstanding contribution to the advancement of psychodermatology. A presentation ceremony is held during each International Congress on Dermatology and Psychiatry, organized by the European Society for Dermatology and Psychology. The Herman Musaph Award is a Medal of Honour, made by a renowned Dutch artist, Geer Steyn. 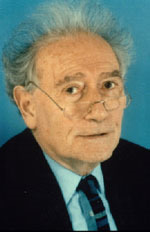 Herman Musaph, one of the founders of the European Society for Dermatology and Psychiatry, was born in Amsterdam in 1915 as the eldest son of orthodox Jewish parents. He studied medicine at the University of Amsterdam, and he started practice as a general practitioner in 1940. In the same year The Netherlands were brutally invaded by the Germans. A long period of suppression and terror started, in particular in the Jewish community. His father, his mother, his younger brother and his sister were murdered by the German Nazis. Musaph survived as the only member of his family. After the war Musaph specialized in psychiatry and psychoanalysis. He became a versatile doctor and an outstanding lecturer, and he distinguished himself in the fields of psychodermatology,sexology, and psychotraumatology. Predominant in all his work is his passionate appeal for the development and the protection of a harmonious emotional life. He made valuable contributions to the understanding of the long-term psychosocial implications of World War II, elucidating how that tragedy of repression and terror affected daily life in contemporary society. In 1977, he was appointed Professor in Medical Sexology at the University of Utrecht. In that year he published a Handbook of Sexology, subsequently translated in many languages. From 1953 onwards Herman Musaph was consulting psychiatrist at the Department of Dermatology of the University of Amsterdam where - later on he became Head of the Department of Psychodermatology. Here, for many years, he worked with enthusiasm, creativity and enormous productivity. He started at a time when psychosomatic medicine was in the focus of the interest. The knowledge and understanding of emotional factors in skin diseases was limited, the results of psychosomatic research in general were promising, and the expectations about the results of psychosomatic research in dermatology were high. Musaphs psychoanalytic background enabled him to develop a thorough understanding of emotional factors in skin diseases. He published on the role of aggression in self-induced conditions, such as dermatitis artefacta, on emotional confl icts in psychogenic pruritis, and on defence mechanisms in psoriasis. He was particularly interested in itching states and scratching behaviour. In 1974, an important and comprehensive study on Itching and scratching,psychodynamics in dermatology was published. Whereas others used the terms psychosomatic dermatology or psychocutaneous medicine, Musaph deliberately used the word psychodermatology. In a brilliant study on its history (1974) he described psychodermatology as the study of psychological variables related to the onset, course and treatment of skin diseases. In teaching psychodermatology Musaph made use of beautiful anecdotes, metaphors and lots of humor to illustrate complicated psychological mechanisms. Although he primarily studied psychopathological aspects of skin disease, he always emphasized the psychological meaning of the skin in normal personal development, especially the meaning of skin contact, touching, and intimate behaviour. In many ways he pointed out that skin contact between mother and child is essential for a healthy emotional life. Herman Musaph, Nestor of Psychodermatology, enjoyed the renewed interest in psychodermatology in the late eighties and nineties of the last century. In 1987, the first International Congress on Dermatology and Psychiatry was held in Vienna. In many countries, including the Netherlands, societies for psychodermatological research were founded. Moreover, initiatives were taken to establish a European Society for Dermatology and Psychiatry. Until the very last moment, Herman Musaph was committed to and actively involved in psychodermatology. He enjoyed very much the contacts with his colleagues and friends. He died shortly after an ESDaP meeting in Paris, and a few days before a symposium on psychodermatology in Amsterdam, at the age of 77. In 1995 the Herman Musaph Foundation for Psychodermatology was established in Amsterdam. The Foundation commemorates Herman Musaph as one of the founding fathers of psychodermatology. Biennally, the Foundation presents the Herman Musaph Award to a scientist who has made an outstanding contribution to the advancement of psychodermatology. The Herman Musaph Award is a Medal of Honour, made by a renowned Dutch artist, Geer Steyn. Until now, this Award has been presented to Uwe Gieler (1999), Caroline Koblenzer (2001), Emiliano Panconesi (2003), John Cotterill (2005), Andrew Finlay (2007), John de Korte (2009), Francoise Poot (2011) and Sylvie and Silla Consoli jointly (2013).